Following the Pre-Adopt, we will holding a Support Group Meeting at 8 PM on January 20th, at the Betty Taubert Girl Scout House, at 37 Wayside Lane, Scarsdale, NY. The Support Group is a perfect opportunity to meet members of our community, listen, share, and provide support for each other. It is open to both pre- and post-adopt families. Perhaps you are brand new to the idea of adoption, and want to hear from other families who have gone through the process. Or you're waiting for your child to come home, or don't know how to ask some of the tough questions your child has been asking about adoption, or you're thinking about adoption again. Whether you're a newbie, or your kids are 20, the Support Group Meeting is meant for you. The Support Group is free, and requires no RSVP, so we hope to see you there! Please join us on Saturday, December 2nd, at 7 pm for a very special event. We will have a Panel Discussion featuring adoptees and their parents, sharing their personal experiences of searching for, finding, and reuniting with their birth families. This will be a compelling and intimate discussion, which is sure to be of great interest to both pre- and post-adopt families. Each of the presenters has a unique and fascinating story, and we are greatly appreciative for their openness and perspective. Questions from the audience will be welcome, and the panel will be followed by a round table discussion. The event will be held at the Betty Taubert Girl Scout House, at 37 Wayside Lane, Scarsdale, NY. We hope to see you all there. In case you think that we have forgotten about the kids, we will be having our annual APC Hudson/CT Halloween Party on Saturday, October 28th, from 5 to 8 PM. Our new Party Planning Committee has been hard at work to make this year's party even more fun! We will have dinner, our favorite magician, crafts, treats, and more! Come in costume and bring the whole family! Please note that the party will be held on October 28th, not the 21st, as originally indicated, due to a conflict with our location. This year, we will be holding the party at the Betty Taubert Girl Scout House, 37 Wayside Lane, Scarsdale, NY, complete with full kitchen for easier dinner prep. Please click here to preregister, as you will save $5 per family for RSVPing by October 27th. And, don't forget to renew your APC membership prior to registering for the party, in order to get APC member rates. Visit the APC website at www.adoptiveparents.org to renew or join. Also, we will be doing something a little different this year. APC kids ages 12 and up may register to run crafts activities for the younger kids. This is a great way for older APC kids to stay involved, and to fulfill any community service requirements. Please indicate whether you have kids who plan on volunteering on your registration form. This is one of our favorite APC traditions! We can't wait to see you all, along with your favorite super heroes, mermaids and and wizards, at the party! Since we have had so many fun events for kids and families recently, our Social Coordinator has decided to plan something very special so that the adults can get out, relax, and spend some quality time together. On Saturday, October 14th, we will meet for drinks at 7 pm and dinner at 8 pm at beautiful Harvest on Hudson, located at 1 River St., Hastings on Hudson, NY 10706. It is going to be a great evening! Please preregister ASAP, indicating whether you will be joining us for drinks, dinner, or both, as there is a limited amount of seating available. Also, since seating is limited, this event is for APC members only. Registration is just to let us know that you will be attending, and does not cover drinks or dinner. Click here to sign up. Harvest on Hudson is a fabulous restaurant with yummy food, situated with gorgeous views of the Hudson River. Good food, great company, beautiful sights... what could be better? We hope to see you there! Everyone is invited to join us for our first Support Group Meeting of the year on Saturday, September 16th at 7 pm at the Betty Taubert Girl Scout House, 37 Wayside Lane, Scarsdale, NY. This meeting is for everyone. People sometimes think that the Support Group meetings are geared towards Pre-Adopt or waiting families. It is true that we welcome and encourage our Pre-Adopt families to attend, especially those who register for the Pre-Adopt Orientation, as the support groups are a wonderful opportunity to get information and receive support. But Post-Adopt families are equally as welcome to participate. Perhaps your child is asking questions that you don't know how to answer, or something adoption-related came up at school and you don't know the beset way to deal with it, or your child is talking about searching for their birth families and you have concerns. Whatever stage your family is at, and whatever adoption-related issues you are encountering, you are welcome to attend and participate in the Support Group. It is also a great opportunity to give back to the APC community by offering support and guidance to the Pre-Adopt families who attend. There is no preregistration required and the meeting is free, so please, everyone, join us! We are planning our first Pre-Adopt Orientation of the year for Saturday, September 16th at 7 pm at the Betty Taubert Girl Scout House, 37 Wayside Lane, Scarsdale, NY. This meeting is geared for people who are just starting out in the process; perhaps you are considering whether adoption is right for you, or are trying to decide the best path to adoption for your family. If so, this event is for you. You will learn the basic ins and outs of the adoption process from one of our long-time members who works in the adoption field. Although the event is free, preregistration is required. So, please email hudsonct@adoptiveparents.org to sign up. Afterwards, stay for our no-hold-barred, wonderfully supportive Support Group Meeting at 8 pm. The last APC Hudson/CT play date and picnic was so successful, and so much fun, that we are planning another one! Please join us for a BYO Picnic and Play Date at Pierson Park, 238 W. Main St., in Tarrytown at 11:00 AM on August 13th. Bring the whole family, a picnic blanket, some lunch, toys and games, and come hang out with our amazing APC community. Pierson Park has an fun sprinkler pad in case of hot weather, so be sure to bring bathing suits for the kids. There's also a great play ground, walking trails, and lots of space for picnicking. There is no RSVP necessary; just come and join in the fun and community. Please email hudsonct@adoptiveparents.org with any questions. We hope to see you all there! Saying goodbye can be hard, so we have planned a special Going Away Picnic/Play Date for two of our beloved APC families. Both the Carvin and Folkson families will be moving away at the end of this summer, and we wish them well. Many of you know that Missy and Brian have been very active members of the APC leadership for years, with Missy having served as Hudson/CT Co-President and now Vice President of Tri-State, and Brian having served as our Membership Chair. You may also know that Mirella has run Pre-Adopt Orientations, helped plan this year's very successful Mini-Conference, and basically volunteered in any way possible. Both families, including their wonderful children, will be deeply missed, and so we will be gathering to spend some good, quality time with them before they move. We will have a BYO Picnic and Play Date at the Kensico Dam at noon on July 22nd. Bring the whole family, some lunch, toys and games, and come hang out with our amazing APC community. The Kensico Dam has a beautiful lawn and great playground. There is no RSVP necessary; just come and join in the fun and community. Please join us for fun, food and friends the annual APC Hudson/CT Spring Picnic on Sunday, June 11th, from 1 PM to 4 PM at Ridge Road Park, Pavilion 2, in Hartsdale, NY. Bring the whole family for yummy BBQ, fun and games! Our picnic area has a designated playground, and a pavilion so that the picnic goes on, rain or shine. The picnic will be perfect for everyone; APC newbies can meet others in our friendly, supportive community, families with kids can form their own friendships, and waiting families can appreciate some adorable inspiration. RSVP is appreciated, so please click here to preregister. We can't wait to see you there! We hope that you will join us on May 20th at 7 PM for our last Pre-Adopt Orientation of the 2016-2017 year. This event is geared towards people who are considering adopting, or who are just starting out the process. You will learn the basic ins and outs of adoption and be able to ask any questions that you may have. Preregistration is required, so please email us at hudsonct@adoptiveparents.org to RSVP. The Pre-Adopt Orientation will be held at the Betty Taubert Girl Scout House, at 37 Wayside Lane, Scarsdale, NY. Afterwards, stay for our Support Group at 8 PM, and share with our wonderful community. We are looking forward to seeing you there. Please join us for a Support Group meeting on Saturday, May 20th at 8 PM. This meeting is perfect for everyone, whether you are exploring the possibility or adopting, waiting for your child to arrive, or already parenting. Come prepared with any questions you have, and be ready to give and receive support from our wonderful community. This event is free and does not require preregistration. The Support Group will be held at the Betty Taubert Girl Scout House, 37 Wayside Lane, Scarsdale, NY. We look forward to seeing you there! Following the Pre-Adopt, at 8 PM on Saturday, January 21st we will be holding our no-holds-barred Support Group Meeting . This meeting is for everyone; whether you are just beginning your adoption journey, you are waiting for your child to arrive, or if you are already parenting. 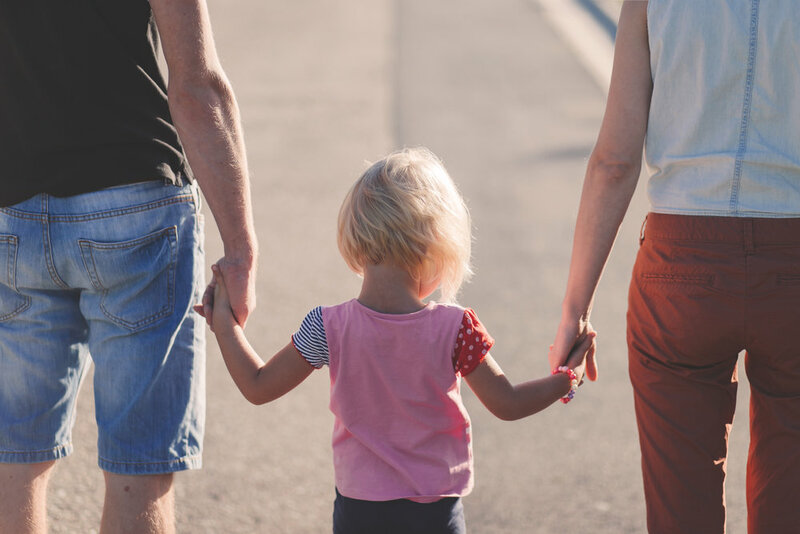 Come prepared with any questions you have, support for your fellow adoptive families, and ready to share with a community that truly understand your experiences. No issue is off-limits, and no question is too small. The meeting will be held at the Betty Taubert Girl Scout House at 37 Wayside Dr. in Scarsdale, NY. We hope to see you all there! On Saturday, January 21st at 7 PM we will be having a Pre-Adopt Orientation. This meeting is geared specifically for people who are just beginning their adoption journey. It's perfect for anyone who attended the Tri-State Conference for the first time in November, who is deciding which path to adoption is right for them, or who is exploring the possibility of adopting. You will learn the basic ins and outs of the adoption process. The meeting will take place at the Betty Taubert Girl Scout House at 37 Wayside Lane, Scarsdale, NY. RSVP is required for this event, so please email us at hudsonct@adoptiveparents.org if you are planning on attending. After the Pre-Adopt, please stay for our general Support Group meeting, beginning at 8 PM. We're looking forward to seeing you there! On December 10th, at 7 PM, we will be having a very special Panel Discussion on Success Stories. Panelists will tell their personal stories, and answer questions, about successfully adopting from each of the four methods of adoption: agency, independent/attorney, foster care and international. The meeting will be perfect for pre-adopts trying to decide which path to adoption is right for them, people who are inspired after attending the Tri-State Conference, and anyone who wants to hear heartwarming stories of loving families being formed by adoption. The meeting will be held at the Betty Taubert Girl Scout House at 37 Wayside Dr. in Scarsdale, NY. A roundtable discussion will follow the Panel Discussion. This will be a truly extraordinary evening. We hope to see you all there. We will be having a play date on Saturday, December 3rd at 11 AM at Stepping Stones Children's Museum in Norwalk, CT. If you have never been to Stepping Stones, it is a truly fantastic place with lots of fun exhibits and activities for kids of all ages. For more information, visit the Stepping Stones' website at www.steppingstonesmuseum.org There will be no preregistration, just meet us by the kinetic scupture in the front hall of the museum, and each family pays its own way. Come, bring a snack, and watch our kids playing and forming their own relationships. It's going to be a great time! We hope to see you there!